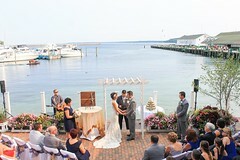 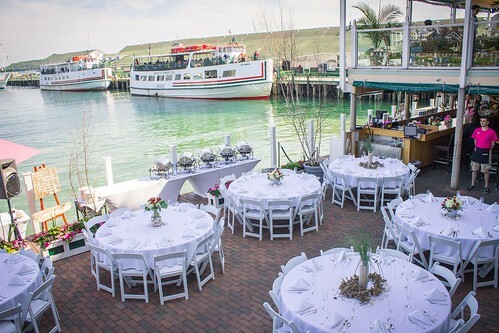 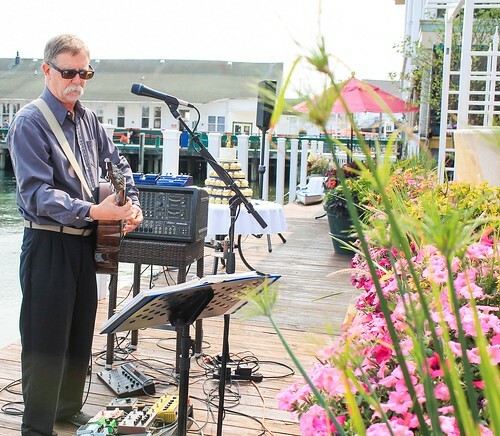 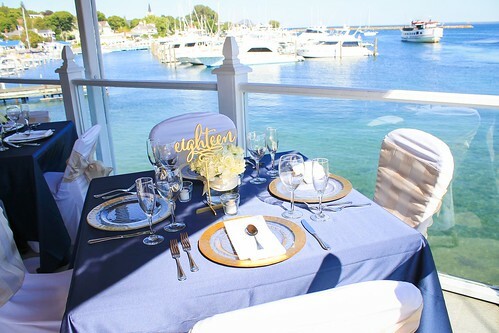 Get Married on the Water! 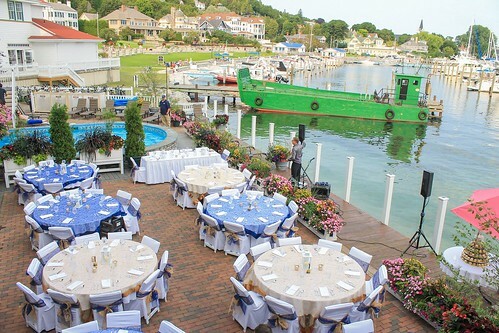 – Well, not actually on the water, but as close as one can get! 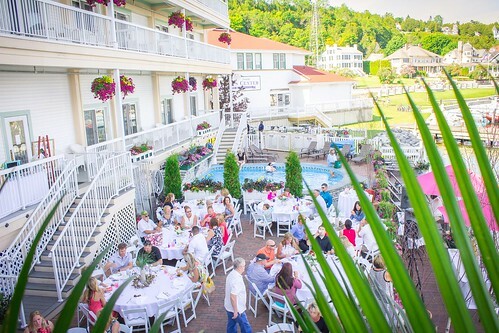 Turn the Pink Pony Patio into the perfect ceremony location. With the Straits of Mackinac as the backdrop, memories of sailing away together on the journey of marriage can be remembered always! 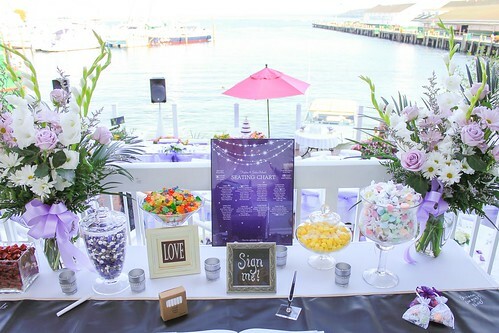 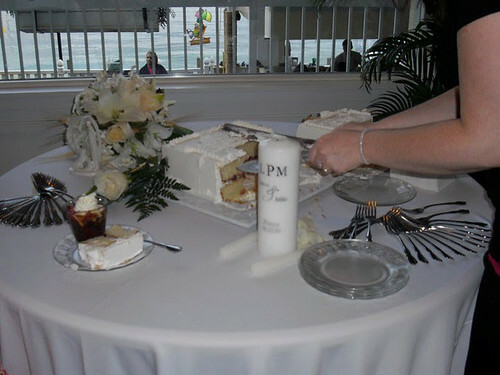 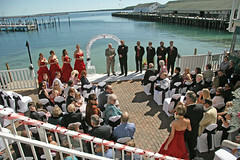 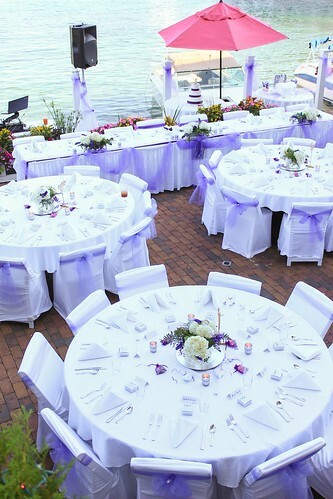 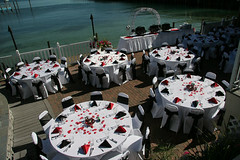 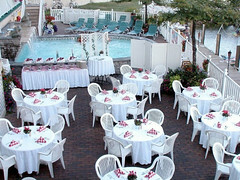 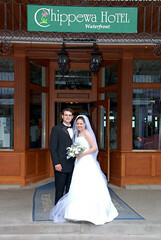 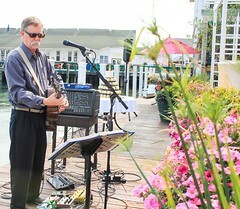 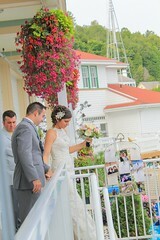 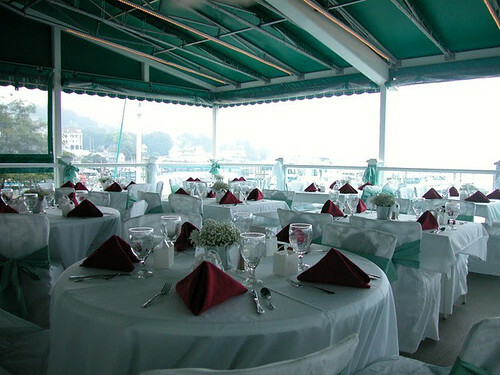 With a variety of set-up options, planning a ceremony on the Pink Pony Patio will be an extremely enjoyable experience. 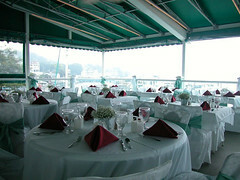 Standard rental rates apply and set-up fees may be added. 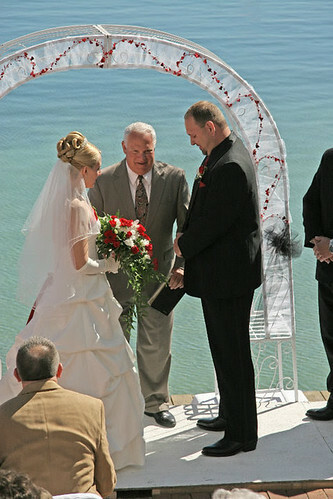 Group Services can be reached by calling 866-847-6575 or 800-241-3341.